Jewelry lovers will love this stunning Hammered Copper 1/2 inch Cuff. Pair this unique Hammered Copper 1/2 inch Cuff with a dazzling pair of Copper earrings and a beautiful Copper necklace. 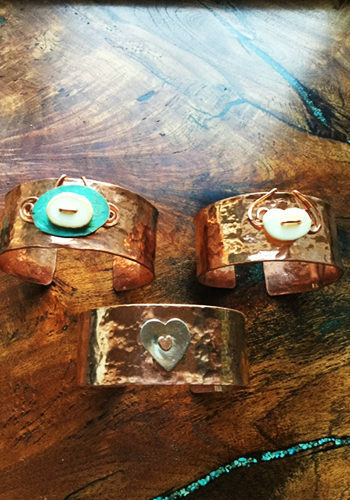 These amazing Hammered Copper 1/2 inch Cuffs come in three different designs. In fact you can choose from a Silver Heart, a Silver Bear Paw, or a Fossilized Walrus Ivory Pendant. 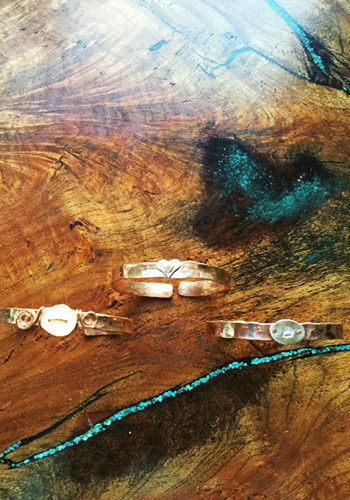 Honestly you will want to collect each piece of this wonderful collection of copper jewelry. 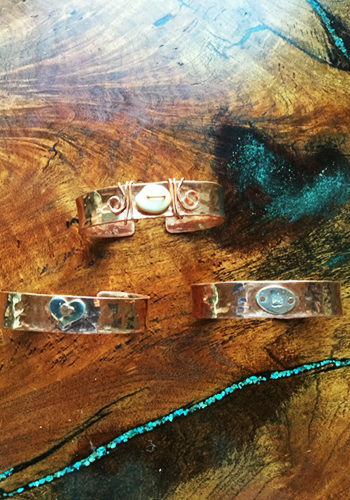 In fact these unique Hammered Copper Cuffs are hand made and that makes them truly special. Alaskan Reflections carries Hammered Copper Cuffs as well as Necklaces and Earrings. 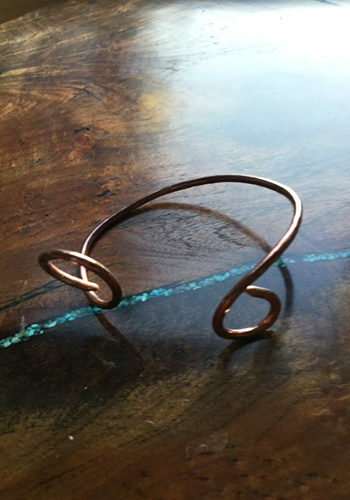 In all honesty these fabulous Hammered Copper 1/2 inch Cuff with their simplistic elegant design will become one of your favorite pieces of jewelry in no time.